Bali does not = Indonesia | Check out the other Indonesian islands now! Our whirlwind trip around some of the more remote Indonesian islands continued with our flight to Palu, the capital of the province of Central Sulawesi. I wasn’t overly keen on flying Lion Air (or it’s subsidiary Wings Air) as they have an almost non-existent safety record. I know many will argue that “what will be will be”. And for the most part, I agree, especially with things such as the unfortunate and ongoing terrorist attacks on aircraft. There’s not a whole lot about that situation that I can control, and so therefore, I will continue to travel and fly. Much of the safety ratings for aircraft however relate to maintenance, air safety procedures and of course their actual record in the sky. Not having been in control of booking this airline, put me outside my normal realm of comfort. It didn’t help matters any when we saw the pilot smoking in the cockpit! It wasn’t the first Indonesian flight we’d been on either where it was clearly obvious that someone was smoking in the toilet! One thing I would totally recommend on any flight through the Indonesian Islands is a window seat. As you will see from this photo, and a few more down further, there are some incredible views on offer. As a destination, I wouldn’t really bother with Palu. Like several of the other Indonesian cities that I’ve already visited, like Manado, it is a gateway to some other great places, worthy of a visit. This beach is located about an hours drive from Palu. It’s a fairly uneventful drive, passing a few villages along the way. The beach, however, is spectacular, and the Prince John Dive Resort has found itself one of the best locations to set up its business. Unlike other beaches that we have visited, this one also has a bar, making it a refreshing place to seek solace from the day’s sun. The resort contains accommodation as well, and I can concur that it would be an incredible place to wake up to in the morning. As has been evident in many of these Indonesian locations, such as Bunaken Island, the waters are crystal clear and divinely blue. Snorkelling and diving can be conducted a little further off the coast and there are boats here to take you out. If you are planning a dive trip to Indonesia, you could also consider a liveaboard experience. I love strolling through local villages but it’s something we really haven’t been able to do much of on this trip. It was so great then to be able to venture behind the resort to say hi to some of the locals. We arrived at Makassar too late to see anything. This was just to be a stopover, en route to Ambon tomorrow morning. I did manage to score another fantastic view out of my window. The fact that the sun was rising and I was already on a plane and well into the flight is a clear indicator that we were up way too early on this occasion. The alarm had gone off at 1.30am, in order to catch our flight to Ambon, located in a group of islands known as the Maluku (or Moluccas) Islands. I’ve been fortunate to visit many Australian war memorials and cemeteries in Europe but had no knowledge of the existence of this one in Ambon. This city was significantly affected by World War Two, being bombed by both the Japanese and the Allied forces, during separate campaigns from 1942-1944. Australian soldiers were captured as Prisoners of War during 1942 and were held at a camp on this site. This cemetery contains the graves of soldiers who died during the war and as POWs in the camps. There are over 2,000 graves here, over half of which belong to Australian soldiers. Representing peace, this heavy gong was first struck by the President of Indonesia in 2002 and is now often used during special events. We stopped here both to admire the memorial of a woman once regarded as a fierce fighter against the Dutch invaders, and also to admire the view out over the Bay. There are really beautiful gardens surrounding the statue, where you could stop for a moment to catch your breath after walking up the stairs, or simply to admire the view. Another wonderful beach and this time we had some real Indonesian culture thrown in, with the local kids doing the Sahureka-Reka Dance. A number of costume changes occurred and different props were brought out, in a special performance just for us. Of all the beaches we visited, this one was my fave. White sands, clear calm waters, and plenty of locals hanging out to give it a real vibe. We grabbed a tube and hopped straight in. These calm waters are a little deceptive though, with a really strong current sweeping through here. It gave us a good ride on our tubes, although pushing back against it was a bit tough. Such a first world problem I know. GoPro to capture this photo of me swanning around in the tube. The safety standards over here left a little to be desired once more, with the driver of the boat towing the huge banana resembling a Formula One driver. He was whizzing around at pace, and coming in so close to shore that we had to yell out to our friend to “Move it!!! !” for fear of her getting wiped out. We had a great time with the locals, even talking to two women who had learned their exceptional English off YouTube! Of course, where else?! We flew into Palu’s Mutiara Airport. Several airlines operate from here, but I would recommend Garuda Indonesia as being slightly better (from a safety record perspective) than Lion Air/Wings Air. The airport is approximately 5 km from the centre of Palu. From Palu, we flew Garuda to Pattimura Airport in Ambon, located approximately 35km from the city. In Palu we stayed at the Hotel Santika Palu, which I thought was a very nice hotel. The rooms were quite spacious, had working wi-fi and a very clean bathroom. Breakfast, provided as a buffet daily, was also good. I particularly liked having a fresh omelette cooked for me to get me going in the morning. In Ambon we stayed at the Natsepa Resort. Undoubtedly, this was the best place we stayed at during our whirlwind eight-day tour. Whilst I would still only rate it as a 3.5 star (rooms and wifi), the view and location were definitely five stars. Our time in the Moluccas was under the careful guardianship of Haical Ab from Ilmi Tours. If visiting Ambon or anywhere else in the Moluccas is something you would like to do, be sure to contact Haical. His experience in travel in this area is exceptional. If you are thinking of heading to Indonesia soon, the latest version of the Indonesia Lonely Planet guide would be a great addition to your trip. Or why not check out some of the other great reference guides. I totally agree re Lion Air. Funnily enough I had said just that to someone yesterday! For Christ sake their pilot missed the runway a few years back! Thanks Anne. I know sometimes speaking up about safety and travel is not the cool thing to do but it’s important to me. Was not aware of the Australian War Graves over there. Beautiful photos! Love all your window seat shots. I absolutely love, love, love what you did here. I really like exploring unknown places and the color of the water reminds me of the amazing waters in Okinawa. How does one go about finding untouched areas in Asia? Can you give advice on that? 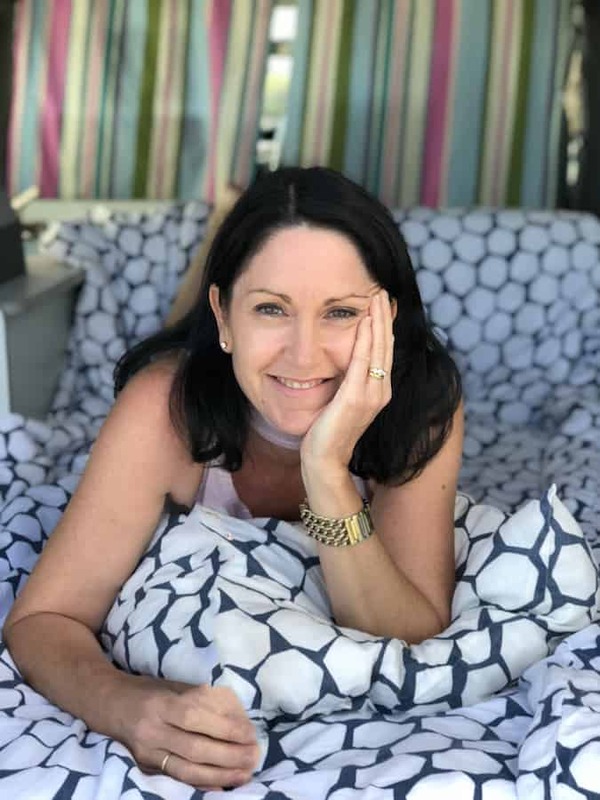 Hi Gina….I’m not an Asian expert, but can I suggest if you are interested that you reach out to Sarah from http://www.fittravels.com She definitely is an expert and would love to help you out I’m sure. Really nice post 🙂 The pictures look amazing! I’m always someone who enjoys a good beach – will have to add Indonesia to my travel list soon!! Yet again, a great piece showing more of Indonesia that people don’t see usually. Wonderful. Now I gotta give Indonesian visa a go even though I was told by the embassy that they don’t give visas to Pakistanis. Wow, you have explored some gorgeous places in Indonesia! We are going there after our contract ends early this fall and hopefully we will get to do some exploring. It’s so hard to choose which places to visit! The only place we have for sure booked is Borneo. Other than that we have a few weeks to play around with! I will definitely be using your blog as a resource from all the different places you’ve explored! What is the average room price you were paying for a nice hotel like that? Just curious to see rooms like that will fall into our budget! Thanks for sharing! Hi Megan, everything is really cheap there. Even the hotels we were in (which they would call 4 star….I would downgrade that slightly 🙂 ) were only $40-$50 (AUD) per night. There are obviously others that would be a whole lot less. Borneo would be awesome and it’s really very close to these islands in Indo. Have a fantastic trip and thanks so much for your comments. Wow Kerri! Your photos here are breathtaking. And that shot of you in Liang Beach…take me there! Though I am not a fan of currents! I almost drowned on a beach in Maui…surf was pounding the shore, but i survived! All these places you have visited I really want to see now. Asia hasn’t been anything of interest really to me, but your posts are definitely changing my mind! I hadn’t heard of Most of these places – thanks for sharing! I learn something every day, from fellow travel bloggers! That’s what I love about travel writing, someone always has something new to share. Wow, sounds like you had an extremely busy trip! When I hear about Indonesia it is always the most common tourist spots. This was a cool glimpse into other under the radar beaches in this country. It looked gorgeous! Yeah Bali gets all the limelight! So much more to see here. I would love to visit there…one of my college teachers was a missionary there for many years so I heard many stories about it! That plane ride sounds real scary, glad you made it ok! Lovely pictures! 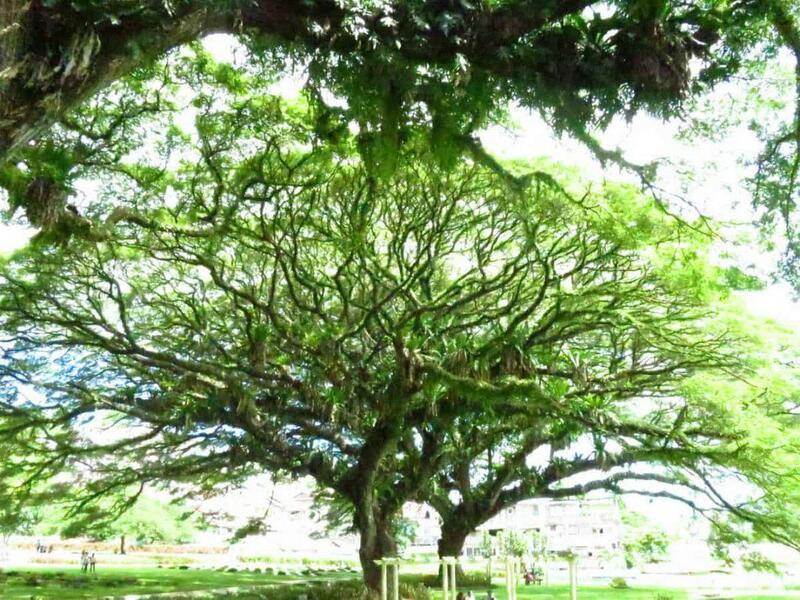 That tree of the Ambon War Cemetery is so beautiful — I hadn’t heard about all the Australian casualties from WW2, teachable moment for me. Such beautiful beaches! How long was the flight to get there? Also, were you on some sort of tour or on your own? I’m wondering how easy it would be to go on your own or which particular tour you were on. Thanks!! This is amazing! Take me to Indonesia RIGHT NOW! Such great advice and tips…THANK YOU! Another excellent write-up on a beautiful locale in Indonesia. Such beautiful pictures of an unspoiled and “local” place. I could totally see myself relaxing here and even moving here! This post is great timing! I am currently putting together our Indonesia dream itinerary and have been a little overwhelmed with so many islands to choose from. It is good to know from someone who has explored several islands which are worth the stop! Thanks Christina. Raja Ahmat is also another one that you should think about. Some people I know just came back from there and it is stunning. Great photos! Sulawesi is absolutely gorgeous! I was in North Sulawesi for a month last July and fell in love with it. I can’t wait to go back and explore more of the islands. Awesome Sadie, you know exactly what I mean then ! Cool, I’ve never been to Indonesia and this was a very interesting read. I for instance wouldn’t have known to not bother with the towns. And the flying scenario did sound kinda scary. I’m glad it was alright. Cannot wait to visit Indonesia one day! I was exactly the same Mark. This is all at my back door but it’s taken me so long to get there. What a beautiful part of the world. I absolutely love your photos, thanks for sharing! I love going to these memorials Sabrina and it was incredible. Very well put together and yes the tree was amazing. I have yet to explore the Indonesian Islands, but they look amazing. I don’t have a strong desire to spend much time in some of the larger Indonesian cities, so I think heading to these remote beaches with great snorkeling and diving is a little more my speed! Agree Drew. The big cities here don’t do it for me either. Underwhelming. My husband and I are flying to Indonesia on 1st of July, so far we only have the flight ticket, and I’m starting planning our trip around this stunning country. We will start in Bali (of course, most of low-cost airlines flight there), but I’m really excited to lost myself on the other small islands, to see the real Indonesia and connect with people. Awesome timing Natalie, so pleased you found it useful. Thanks for sharing your experience and your tips! That is one of my favourites too Meg. Thanks so much for your comments and for taking the time to read. These islands seems so pristine and so remote, but that plane ride seemed real scary. I don’t envy you for it. I have yet to explore Indonesia. It looks like a really beautiful part of the world. Oh wow I knew we should have gone to the Indonesia when I was in the area. I had no idea at the time just how beautiful all the islands were! I love hearing about unknown places and the road less traveled. Looks like a beautiful island worth exploring and discovering! Great pics, thanks for sharing. Fantastic photos! I especially love the kid who has the seashell, what a great shot! Do you have any problems communicating with the locals? It must be an extraordinary experience, thanks for sharing! There’s not much English spoken but amazingly (or not 🙂 ) the kids are not too bad at it. Ok, I need to get to Indonesia right away! Those beaches look amazing and the photos from the plane are gorgeous! Liang Beach looks especially fantastic–would love to sit in a tube in those clear waters! It’s got so much to offer Jenna…..
What lovely and untouched places, the beaches and the clear water are so pristine, these lovely places seem to be still relatively untouched by commercialization. The water is just amazing in all those shots – and I find it hilarious that the locals learn’t English from YouTube! The wonders of technology eh? !